British dramas, British comedies, and British nature documentaries, the full house of shows our cousins across the pond just can’t seem to get enough of! Some of the most popular titles on Netflix are in fact from the BBC. Now we know the release dates for BBC shows on Netflix are erratic so let us help you with that. Let’s get to it, we have the list of shows that we are expecting to arrive on Netflix in 2019 and 2020. Peaky Blinders has become a huge hit both in the United Kingdom and in the US. The absence in between seasons has easily left fans frustrated but always making the hearts grow fonder. Season 5 will have 6 episodes and will air in the UK prior to the US release. Previously it has taken a month after the finale air date in the UK before it has arrived on Netflix in the US. If Peaky Blinders season 5 releases in the summer as we’ve predicted then we expect the US to receive the series in September or October. There are many other BBC titles likely to arrive in September so it makes sense for Peak Blinders to arrive then. Death in Paradise may be one of the few BBC shows that actually releases on a regular schedule. Each season of Death in Paradise has aired in January and finished in the February, season 8 also following suit. Therefore with season 8’s finale airing on February the 28th in the UK, it won’t be long before the 8th season has finished. Like previous season releases Netflix in the US doesn’t receive the latest season for a number of months, but usually drops in the month of September. A British detective inspector is sent to the Caribbean island of Saint Marie to investigate the murder of a fellow detective inspector. After solving the crime, the detective reluctantly stays on to replace the victim, solving new cases that require solving across the island. The BBC had a surprise smash hit on their hands with the release of the charming and hilarious Father Brown. After 6 seasons fans still can’t get enough of watching the priest of St Mary’s Catholic Church solving crimes left and right. The seventh season has already aired in the UK so it won’t be long before Father Brown will come to Netflix. Last year the latest season arrived in April and we fully expect the seventh season to arrive this April too. In the village of Kembleford post WW2, the local priest at St Mary’s Church is the town’s best detective. Using his wit, intelligence and with the help of his secretary, Father Brown helps solve the crimes causing trouble in his town. White Gold should have had a second season by now but production has finally commenced again. Filming had stopped due to sexual assault allegations made against lead actor Ed Westwick. Westwick has since been cleared. Filming began again in November 2018 and can be expected to air in the Spring or Summer of 2019. The first season of White Gold came to Netflix 2 months after it finished airing in the UK. We are expecting the season to arrive on Netflix either in July or August 2019. Through his good looks, charm, and gift of the gab, cocky salesman Vincent Swan leads a team of double glazing salesman. There’s no rule Vincent won’t break as long as there’s a juicy profit for him. This comes as a massive surprise that the 4th season hasn’t already arrived on Netflix. The 4th season already aired in the UK all the way back in March 2018. When Shetland first arrived on Netflix it came with the first 3 seasons of the drama. Now that we are approaching 12 months since the 4th season ended we are fully expecting the next season to arrive on Netflix in March 2019. In the Shetland islands, the community is a close and tight-knit bunch. But when a crime devastates the town it effects all of the community, stepping up to solve the crime is DI Jimmy Perez and his team of investigators. Release dates for the BBC are incredibly erratic. The 8th season finished in April of last year but Netflix only just received the 7th season from 2016 back in October 2018. Now we don’t think Netflix subscribers will have to wait another 2 years for the release of the next season but ultimately we are speculating that Still Game season 8 will come to Netflix in October 2019. McMafia is one such title up for debate on whether or not it will arrive on Netflix. The series is a co-production between the BBC and AMC. Now there are AMC titles on Netflix still but that doesn’t guarantee that McMafia will arrive. We do expect the series to arrive eventually and considering AMC has a 49.9% stake in BBC America so unless it arrives on Netflix it could end up on another streaming service or it may stream exclusively on AMC’s website. English raised Alex Godman lives his life on the straight and narrow and runs a legitimate business and plans his future with his girlfriend Rebecca. As he is the son of an exiled Russian crime family Alex has done well to avoid being corrupted by using his families connections for personal gain. When a tragedy strikes his family Alex is thrown into the seedy and shaded underworld of international crime. Out for revenage and fighting for survival Alex’s life will never be the same again. Legal drama series are immensely popular in the United Kingdom, and The Split was one such title watched by millions across the nation. While the series debuted in the April of 2018, the series ended on May 29th, 2018. As expected with Netflix and BBC release dates we don’t expect to see The Split arrive until the fall of 2019. Also, it can be debated if the series will arrive on Netflix at all. The series is a co-production between Sundance TV (owned by AMC) and the BBC. If MacMafia doesn’t arrive on Netflix then The Split is unlikely too. The Defoes, a family of female divorce lawyers, are forced to face their past following the return of their estranged father after a 30-year absence. Dynasties having already aired in the United Kingdom has been well received by the BBC audience. Netflix won’t receive Dynasties until of least Christmas 2019 but it will definitely be a huge highlight of the holidays on Netflix for 2019. Each episode is set around a specific animal and follows the hardships and struggles that animals face in an ever increasingly dangerous world. 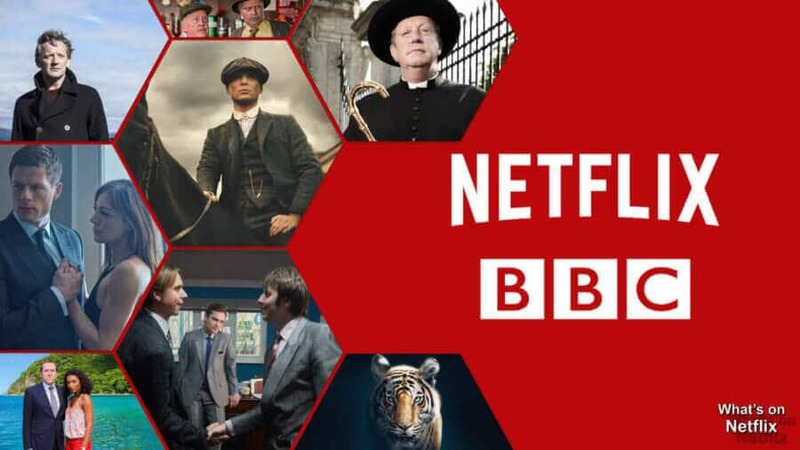 Netflix and the BBC are currently producing an English and Japanese bilingual series. The ambitious drama has already begun production with some fantastic names already in the cast such as Kelly Macdonald and Takehiro Hira. The series will be filmed in both English and Japanese with filming taking place in Britain and will later be filmed in Tokyo for the final episodes and scenes. The story is centered around 2 estranged brothers who live on opposites parts of the world from one another due to a decision that changed their lives forever. Tokyo detective Kenzo is sent to London to find his younger brother but upon arrival, it’s not long before his search takes him into the seedy criminal underworld of London. The team behind Sherlock has been given the reigns to create the latest Dracula tv series coming to the BBC and Netflix. Not much is known about the series thus far but the Count’s role has been cast and Claes Bang (The Square, The Girl in the Spider’s Web) will play the title character. Instead of a modern-day setting, the series will take place in 1897 at the very end of Victorian-Era London. Like Sherlock, the series will have three 90-Minute episodes that will air weekly on the BBC in the United Kingdom and will be aired globally on Netflix. What series are you looking forward to most? Let us know in the comments below!